Hey Think.iTeers around the world! We’re finally coming up for some air and reflection after our busiest and most rewarding quarter yet — and we wanted to share some good news with you. We closed our seed investment round to scale our team, talent programs, and workspaces. We joined Katapult Accelerator with 11 other innovative teams selected out of 1,500 applicants from 107 countries around the world. We’re expanding to a bigger and better Think.iT Headquarters in Tunis. We onboarded our third cohort of brilliant engineers, and they are ready for hire. We are thrilled to announce that we closed our seed funding round! This is an important step toward affirming that North Africa is an equal ally to the global technology community in unlocking human potential — and we couldn’t be more grateful to be on this journey of intentional and auspicious growth with our early stage angels and the Katapult Accelerator Fund. Our new injection of capital will help us upgrade our workspaces in Tunis and Berlin, and scale our talent acceleration experience — including hiring technical experts for our emerging technology tracks, expanding our talent assessment tools, and upgrading our team’s equipment. Along with partners like MIT ReACT and Localized, we are also committing more resources to innovation within the Future of Learning — with an emphasis on the soft skills curricula and methodologies that will help our Think.iTeers fulfill their potential as distributed engineers and future technology leaders. These developments couldn’t come at a better time, as we embark upon our next chapter in our new Think.iT headquarters! We are proud to share that Think.iT joined Katapult Accelerator in August, along with 11 other innovative teams like FinAccess and Esusu selected out of 1,500 applicants from 107 countries around the world. Our team spirit is closely mirrored in Katapult’s mission of building a global ecosystem of leaders leveraging exponential technologies to solve the world’s most pressing problems. “Our team at Katapult is incredibly excited to partner with Think.iT and support their mission of connecting brilliant engineers with global opportunity. The world will only need more specialized and thoughtful software engineers over time — and Think.iT is proving that the next generation of technology leaders will not just be high-performing, but also truly global citizens. We look forward to our continued partnership with Katapult Accelerator as we pioneer new learning experiences for self-leadership and human skill development that will benefit tens of thousands of young people in North Africa — and beyond! We are excited to announce the opening of our new Think.iT Headquarters in Tunis, a newly renovated space of just over 750 square meters in the heart of Berges Du Lac II. We’re excited to upgrade to a talent acceleration hub that can grow with us over time, and make it uniquely ours. Since first establishing a presence in Tunis with six people in 2017, we have expanded to nearly 40 employees with the capacity to grow to more than 100 as we continue to hire and invest in the city and region. At Think.iT, innovation and curiosity are in our DNA. So, we look forwarding to transforming our headquarters into a true opportunity space — with the right equipment and resources for distributed teamwork, continuous learning, and technological exploration. Tunisia is home to North Africa’s top technical universities — and over 35,000 computer science grads each year. So, we’re thrilled to not only have a beautiful and productive place to collaborate with our team and distributed partners, but also a home for our local community’s emerging talent to learn and be inspired with us. Keep an eye out for workshops with local and international guests. We hope you’ll visit us soon! We are very excited to share that we onboarded our third cohort of engineers in September, welcoming 9 new brilliant minds to the Think.iT collective. We are proud to welcome a new generation of Think.iTeers who are not only brilliant, analytical, and versatile engineers — but also thoughtful and compassionate individuals committed to scaling Tunisia’s technology sector and growing into future changemakers. “I was planning to get my master’s degree — but Think.iT completely changed my plans! Think.iT isn’t your average company, and we’re not just colleagues: we are a family of Think.iTeers, devoted to making each other better. From Day 1, we were challenged to think critically, love what we do, and unleash our true potential — not just blindly transform specifications to code. Know any innovative companies looking for DevOps, Data Science and AI, or Full Stack Web Development expertise? Our new engineers have almost completed their bootcamp, and are excited to start interviewing with potential partners. If you’d like to meet our engineers or know someone who would, send us a note at hiring@think-it.io. Think.iT is a tech talent collective dedicated to connecting brilliance with opportunity. 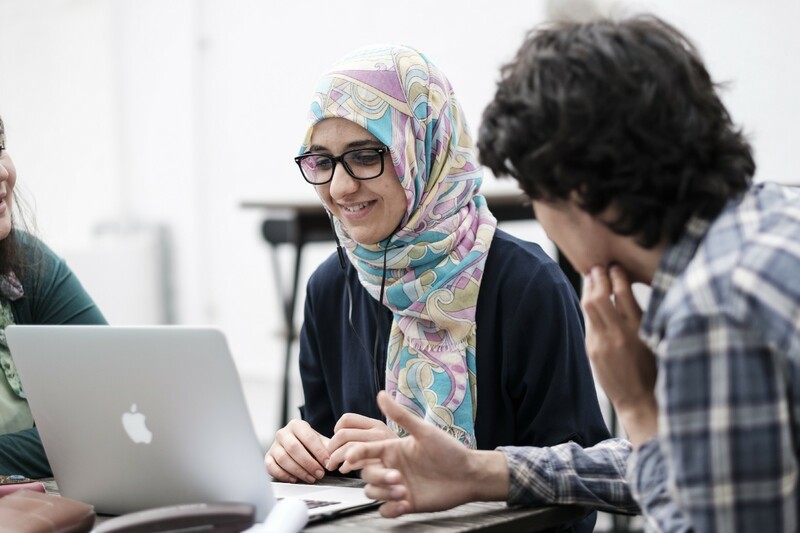 We use a data-driven approach to identify North Africa’s future technology leaders — before integrating them as full-time distributed team members in innovative engineering teams around the world. Backed by mission-aligned partners, we help engineers fast-track their careers by working on cutting-edge tech with innovators around the world — while investing in talent hubs at home in North Africa. Building North Africa’s next generation of technology change-makers through distributed teamwork with innovative partners around the world.